Colombo’s decision to give the port on a 99-year lease to a Chinese company has led to questions of sovereignty. Chandima Damyanti has been upset ever since she learned that the government wants her to leave her house and village and settle elsewhere to facilitate the transfer of land to the Hambantota Port and Industrial Zone that has been leased to Chinese companies. The Sri Lankan housewife is not leaving without a fight. The decision of the Sri Lanka Freedom Party and United National Party coalition government to give the strategic Hambantota port, which juts out into the Indian Ocean, on a 99-year lease to Chinese companies has not just thrown the lives of these villagers into a vortex of uncertainty, it has also given momentum to growing opposition to the government. Since the decision was taken to lease Hambantota port to a Chinese company for $1.2 billion, Minister of Justice Wijaydesha Rajapakshe has been sacked for opposing it and another minister looking after ports, Arjuna Ranatunga, has been shifted for voicing his opposition to a deal that in his reckoning undermines national sovereignty. Through this unpopular decision, the government of President Maithripala Sirisena – which had brought normalcy to the country after Mahinda Rajapaksa was voted out in 2015 – may also have introduced instability into a society that was promised yahapalayanaya or good governance. And it is not just politicians who are latching on to this matter. The Buddhist Maha Nikayas, who have great influence in the island’s politics, are also against the grant of land to the Chinese. The supreme patriarch of the second most important Maha Nikaya (Amarapura), 92-year-old Kotugoda Dhammawasa, who has millions of supporters and bhikhus (monks), said, “We reject the deal.” In January, when Prime Minister Ranil Wickramsinghe visited Hambantota to inaugurate an industrial port with the Chinese ambassador, the Buddhist monks held a protest demonstration. Original project a debt trap? The big question is why then did the coalition government, which came to power on the promise of stopping corrupt deals allegedly transacted by the previous government in the Colombo Port City project and Hambantota, end up clearing the same deals with China on terms that hurt its credibility? There are many versions, primarily because of the opaque nature of the agreements that the previous government signed with China to bring in funds to develop the country. No other country wanted to invest in Sri Lanka because of Rajapaksa, who had become an international pariah after the manner in which his government extinguished the challenge of the Liberation Tigers of Tamil Eelam – a militant organisation that had fought a 25-year-long civil war for a separate homeland for the Tamil people – in 2009. China, besides Pakistan, had supplied arms and provided support to fight this ethnic conflict. Beijing had also offered loans for reconstruction, which the president sought to leverage to consolidate support among the masses. Rajapaksa got $8 billion in loans from China to build a road network and infrastructure in Hambantota and the Colombo Port City – an offshore city built on a man-made island. At the time, there were fears that the government may find it difficult to service these expensive Chinese loans and they could be heading into a debt trap. The Chinese companies, too, did not ask tough questions, like many lenders do, about Colombo’s ability to pay. This is the main reason why detractors of the deal, such as ousted minister Rajapakshe, claim the intentions of the Chinese were not honourable. After the Sri Lanka Freedom Party-United National Party alliance came to power, deals with the Chinese were put on hold as they were perceived to be symbols of corruption, authoritarianism and misplaced development. These misgivings were expressed regarding Hambantota as well as Colombo Port City, which was described as a mirror image of Dubai’s Palm Springs replete with high-end apartments, malls and other facilities that only the rich can afford. 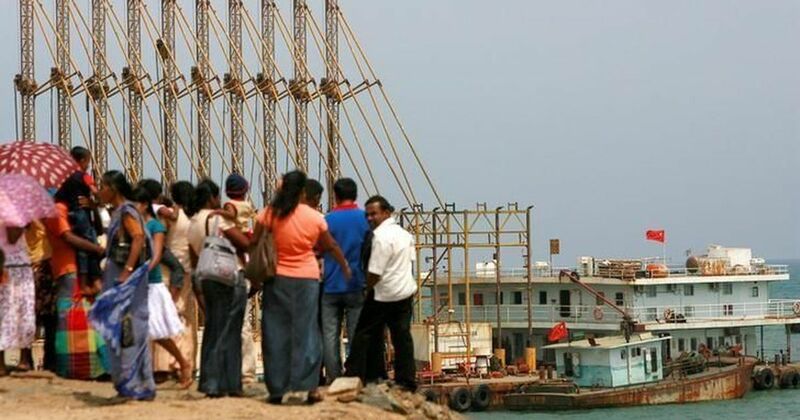 The Hambantota project, like Colombo Port City, also promised ownership of land to the Chinese, which led to questions of sovereignty, with some of Rajapaksa’s critics claiming he was turning the island into a Chinese colony. As the Sirisena government stared at a ballooning debt as a result of its predecessor’s decisions, it was compelled to renegotiate the Hambantota port deal by turning debt into equity and giving it on a 99-year-long lease. 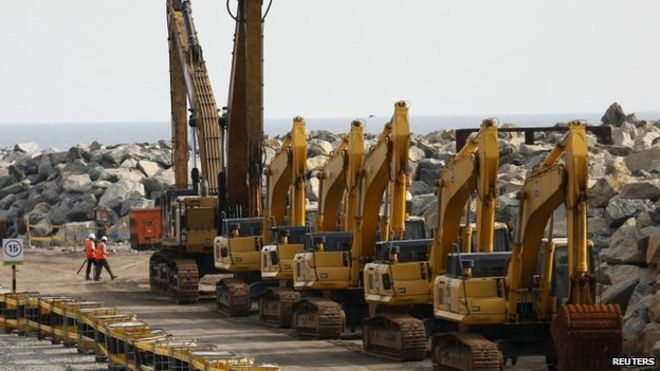 Colombo, it seems, did not have much of an option to ward off the Chinese when contractors of the southern port, China Communication and Construction Co Ltd, demanded $143 million as compensation for stopping work. Sri Lanka, whose economic growth faltered last year at 3.5%, was not in a position to repay the loans it had taken when its growth had hovered at 6.4%. There were other factors also that prevented it from going for open tendering or other investors. As a senior editor of a national daily pointed out, Sirisena, in his speeches to his partymen, had claimed that the real reason why Rajapaksa had called for early elections – two years before they were scheduled – was that the repayment of the loans would start in 2017. With his popularity on a high after the defeat of the Tamil Tigers, he thought a fresh mandate would allow him to deal with any criticism that may be directed at him for taking harsh decisions. What this point of view suggested was the inevitability of the sale of land and turning of debt into equity and the subsequent institutional approval of China’s growing influence in Sri Lanka. To put it simply, China’s growing control over some key Sri Lankan assets was scripted in the decision that Mahinda Rajapaksa had taken a few years ago. The deal now involves China paying $1.2 billion in a debt-equity swap in the ratio of 70:30. The China Merchant Port Holdings Company or CMPort gets 69.5% of the shares and the Sri Lanka Port Authority, a public sector organisation, holds 30.5%. After 10 years, the Authority has the option to buy another 20% of the shares, making the two companies equal partners. These are some of the clauses that have been introduced by the new government to make the deal more acceptable. Ranatunga told Hardnews that the original agreement prepared by a committee of secretaries, which was later changed, was loaded in favour of the Chinese. The deal cleared by the Sri Lanka government also takes into cognisance the security concerns of India and other countries. Now the Sri Lankan navy and police will handle the security of the port, which will be used for commercial purposes only. Does that satisfy the Indians? In the words of a diplomat who spoke to Hardnews: To clear the deal, the Chinese may have agreed to these changes. But make no mistake that this will be the next Djibouti – which is now China’s military base in Africa. Questions have been raised not just by ministers in the government but also by former president Rajapaksa and his politician brother, Basil Rajapaksa, on the decision to give the land on a 99-year lease. Basil Rajapaksa said their government had not bartered away the country’s sovereignty like this government has done. He claimed the land belonged to the people and there was no way it could be acquired. If they came to power, they would scrap the deal, he said. What is clear from this statement is how political instability has resurfaced in the country because of the government’s inability to ward off exertions from a regional power. Under the present regime, control of the press has loosened and it enjoys more freedom but the government is still trying to find a way to grapple with the problems it has inherited from its predecessor. Rajapaksa, on the other hand, is hoping that people would have forgotten his role in pushing the country into a debt trap and is keen to return to power. He is using resentment towards the Chinese deal to attract dissidents, and those who think they cannot win on a ticket of the ruling coalition are beginning to make adjustments. “The difference between the winners and losers was only 400,000 votes in the parliamentary elections and going by the mood in the country, more than a million votes may have crossed over to Rajapaksa and his new party,” said a power broker. Basil Rajapaksa, who is busy putting the new party, the Sri Lanka Podujana Peramuna, together to fight the elections – provincial to begin with, scheduled for later this year – is confident the wind is blowing in their direction. Political commentators, however, scoff at his exertions. They are convinced that a change at the top is not possible before Sirisena’s five-year term comes to an end. However, Colombo is full of rumours about the possible permutations and combinations that may play out when the elections finally take place. 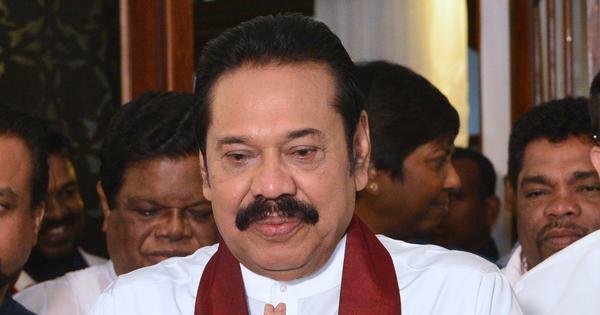 Rajapaksa cannot become president again as he has completed his two terms. However, there is nothing to stop him from becoming prime minister if his party is part of a ruling alliance. There are suggestions that the sacked minister Wijeyadasa Rajapakse, who had built a strong support base among Sinhala nationalists and the Buddhist clergy after opposing the Hambantota deal, could be backed as a candidate by Rajapaksa’s party (the two are not related). Basil Rajapaksa thinks this is quite possible, going by the number of political parties supporting the fledgling party that literally has a flower bud as a symbol. As the Hambantota deal redefines politics in Colombo, the villagers are bracing for the next move. They have learned informally that not just Manjjawa but Medilla, Gajabapura, Dehemipura, Tsunami Gammanaya and a few more villages will be acquired soon. The deputy mayor of Hambantota, UK Dissanayake, said, “We want to know what kind of companies will come here. We do not want industries that cause pollution to come to the industrial zone that destroys our water and air.” He added that the Chinese currently living in Hambantota have no respect for their culture. “The other day a Chinese man hugged a local girl in the market,” he said. The enraged girl and her family reportedly had to be paid off. Similarly, the visitors’ lifestyle and food habits have upset villagers. According to them, the Chinese eat all kinds of meats. “Even reptiles are not spared,” said a villager at the meeting in Damyanti’s home in Manjjawa. The villagers have also been told that their houses will not be demolished, but will be given away to the Chinese. “How can foreigners be allowed to stay in our ancestral houses while we are forced out?” asked the school teacher Kusumsri. 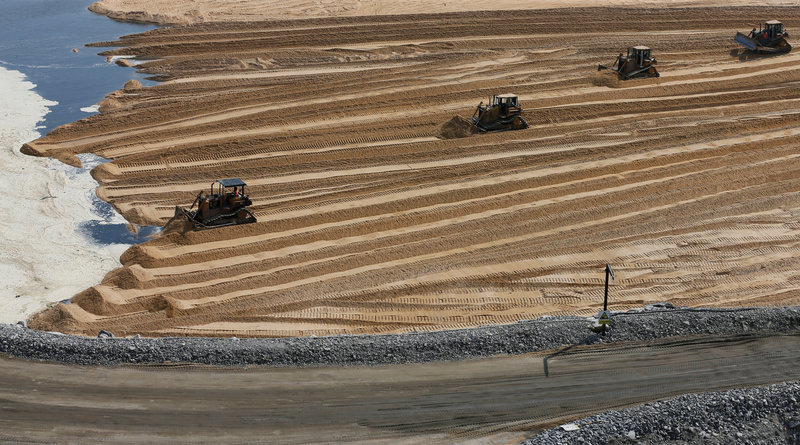 The government agencies are still proceeding slowly on the land acquisition, but it is unlikely the Chinese will wait endlessly. After declaring Hambantota part of its Belt and Road Initiative – an ambitious trade and infrastructure project that aims to connect Central, South and West Asia and Europe – the Chinese will not brook any opposition. A protesting villager was told by the minister of fisheries that the land had already been given to the Chinese and nothing could be done now. The government hopes that good compensation and rehabilitation will take care of the grievances of the villagers. But what will they do about Chinese ambitions? This article first appeared on Hardnews.